Well that was really sweet. You two seem to have a great relationship, and to share the project and be equally excited about Big Blue, that's a rare and precious thing. You should post the track listing for music used in the video, I'd like to see. Happy Paper Anniversary to the three of you! I saw the birthday video a few months back. I made my wife watch it, and she cried (perhaps b/c she thought I was the only person in the world who hugs my bus). 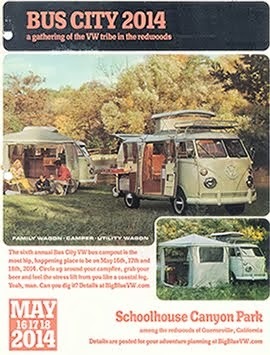 We hope to see you sometime camping or at a show (My wife also loved that pink bus at bug-o-rama). Aaron - A few buses are getting together in September for a camping trip. You guys interested? if so, email me at brett (at) lostcampers.com. Ludwig, as always, thanks for the well wishes. Great video bus-umentary on Big Blue! Loved it! Looking forward to meeting you guys as we make our way down the Pacific coast in our '78 bus. Greetings from southeast Alaska! I really loved this video You experienced many of the same things that I did when I first got my bus. Still learning mechanicals and fixing stuff as time goes by. The time with your bus and your girl is time well spent. 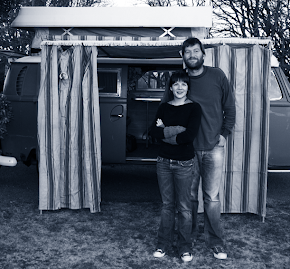 We own a '72 westy. From our bus to yours - Happy Anniversary.